Let’s begin the conversation about leadership. It’s all around us: good and bad, effective and ineffective, generous and greedy. This blog is meant to be a conversation. Our stance is that great leadership yields great results. 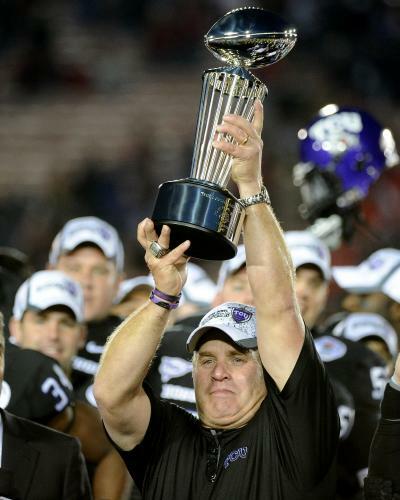 Take a look at Gary Patterson (football coach TCU Horned Frogs, a small private college in the US). Patterson created an environment where excellence flourished . EXCELLENCE flourished. He demands a great deal – including going to class and graduating. His team had the greatest successes of any college team in the US in 2010, capped with winning the Rose Bowl Championship, Jan 1, 2011. (OK, if you are from Auburn, you can take me to task – but remember, TCU was the Cinderella team. Auburn has 25,000 students, TCU as 9,000…you see where this is going…) Any way, this is about Gary and the Frogs. There will be more about them later. How about Alan Mulally? He led Ford Motor Company through the recession (without a bailout) and to a position of leadership in the automobile industry in the US and globally. He got a step on changes that needed to be made and has positioned Ford to be a powerhouse in the world. And he did it all with an eye on sustainability. We’ll talk about what’s great, who’s great and what makes them great. Join us in the conversation!